Looking after your wellbeing shouldn’t just be a short-lived boost now and again, it should be a lifestyle….a lifestyle that becomes a focus on being fit and healthy for life, whatever your age. And regardless of whether you’re a gym bunny, a squash player, an athletics lover or a swimmer, everyone needs to change up their routine now and again and try new sports to keep the mind focussed and the body supple. That’s why Aberdeen Sports Village has restructured its memberships to encourage people of all ages to make use of the fantastic, state-of-the-art facilities on offer. ASV’s One Lifestyle Memberships is an inspired concept that gives members access to everything on site at the Sports Village in Aberdeen’s Linksfield Road. With a range of memberships available on an annual basis or monthly direct debit, those taking advantage of the new memberships will have access to the vast gym facilities, more than 100 group exercise classes, the eight lane 400m running track, the six lane indoor running straight, squash courts and sports studios. The Lifestyle Memberships, will also give members access to the Aquatics Centre, which boasts the 50m Olympic swimming pool, the 25m diving pool and two health and relaxation suites. Aberdeen Sports Village is one of the top sporting and exercise venues in the UK and boasts indoor and outdoor world-class facilities for keep fit fans and elite athletes alike. The gym, which is set to undergo a £100k refurbishment, includes all the latest cardiovascular, resistance and functional equipment, as well as a free weights performance area. There is a vast choice of group exercise classes, including the popular Les Mills RPM sessions, with classes running daily from 7am until 9pm most days. Featuring superb indoor and outdoor athletics facilities, the venue also has a sports hall, which is the size of nine badminton courts, 3G indoor football pitches and hockey pitches. The Aquatics Centre with the Olympic sized swimming pool and diving pool, boasts a full aquatics timetable incorporating swimming and diving classes, lifesaving, water polo and lifeguard courses. Aberdeen Sports Village has a team of 250 skilled staff to support, guide and encourage all members and customers with their fitness goals. Whether someone is a beginner, looking for guidance for a specific upcoming event or an experienced sportsperson focussed on improving fitness and challenging themselves, the Sports Village has facilities and support to meet everyone’s requirements. Since launching in 2009, Aberdeen Sports Village has always been focussed on providing everyone in the city’s communities with access to first-class sports facilities, from children’s activities for ages 0-15, teenage gym access, right up to the popular Evergreens programme of activities encouraging more mature members to live a healthy lifestyle. Chief Executive of Aberdeen Sports Village, Duncan Sinclair, said: “The new One Lifestyle Memberships were developed to coincide with the strong ethos that we have to always aim to give the community access to our fantastic multi-million pound facilities. “What we have at the Sports Village far exceeds what is on offer at the top fitness clubs across the rest of the UK as we have the additional benefit of our Olympic sized swimming pool and diving pool and our fully-equipped indoor and outdoor athletics. 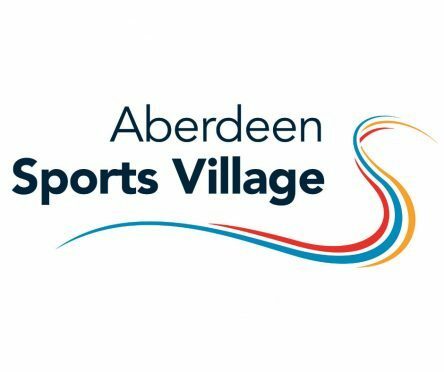 Aberdeen Sports Village is passionate about providing an enjoyable experience with each and every visit, helping its members to achieve health and fitness lifestyle goals. The One Lifestyle Memberships comprise of the ASV Lifestyle Membership which is available for everyone, an Evergreens Lifestyle Membership and a Students Lifestyle Membership, so there is a range of cost options to suit all. The ASV Lifestyle Membership is priced at £496.80 annually or £46 monthly direct debit, with off peak £345 annually or £32 monthly. The Evergreens Off Peak Lifestyle Membership is £162 annually or just £15 monthly. With the Student Lifestyle Membership heavily discounted and priced at £248.40 annual fee or £23 monthly and Student Off Peak coming in at £172.80 annually or just £16 per month. ASV wants to ensure it offers students the opportunity to maintain their health, fitness and wellbeing throughout their studies. Aberdeen Sports Village is open 6.30am-10.30pm Monday to Friday, 7.30am-7.30pm Saturday and 7.30am-9.30pm Sunday, ensuring members can schedule their fitness regimes around other work and life commitments. If you want to be part of Aberdeen’s top sports club, the time has come to choose one lifestyle. Your lifestyle, one village. For more information, contact the team at Aberdeen Sports Village on 01224 438900.